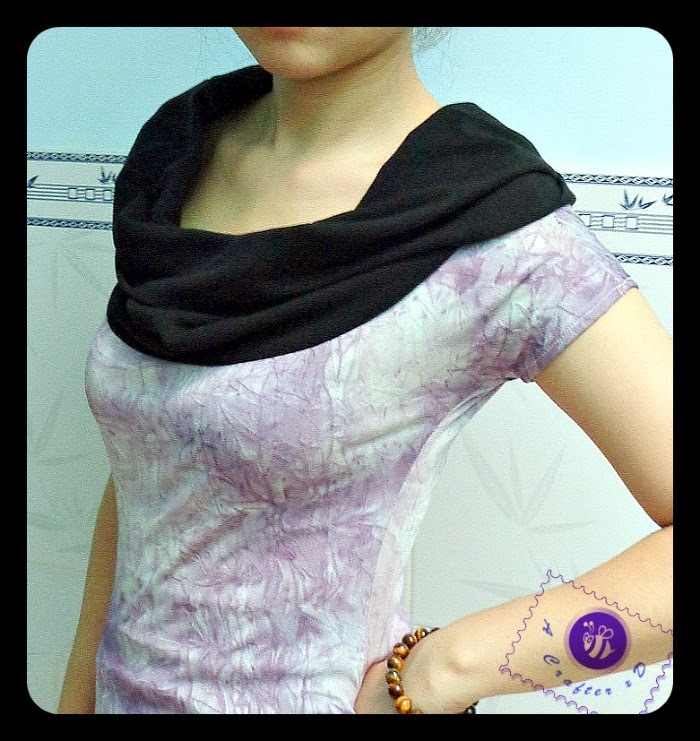 In this post I'll show a little tip to create a trendy cowl collar for your T-shirt. 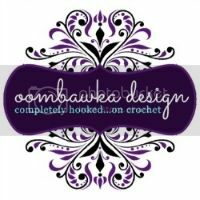 It's an easy add-on collar, a split cowl collar with different type of fabric or color to style a little fresh look. You can refashion your old shirts this way, too. Note: This cowl neckline is wide with a bit chunky look. 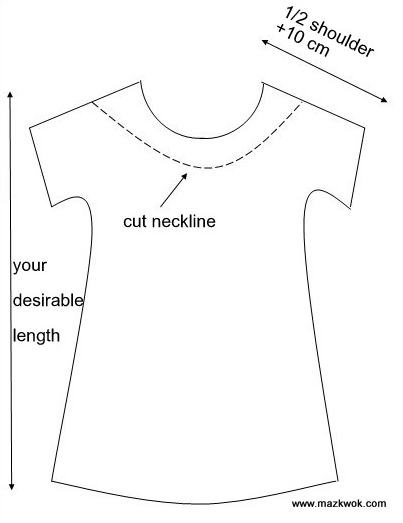 However, it's your option to create your own different size and style. 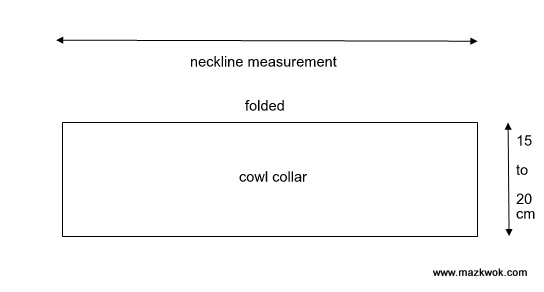 For a comfortable and soft cowl collar, I recommend stretch fabric for the collar part.